Assumed to be one in the same, both real estate appraisals and home inspections are often confused between buyers and sellers alike. Though both processes are linked to every home purchase, they are designed to serve separate purposes. With that in mind, we at JMark Inspections would like to elaborate on home inspection versus appraisal. Behind the presentation of the beautiful cabinets in the kitchen, or spacious layout of the living room, there can potentially be a plethora of issues. Without special knowledge and a trained eye, some of these problems are almost impossible to detect. The foundation, floors, ceilings and roof are a few of the basics the inspector looks for and pays a special attention to important systems such as the HVAC system, electrical, and plumbing. In most cases, the inspector will suggest that you be present for the inspection, however, it is not necessary as you get a copy of the final documentation report that commonly contains illustrating photos alongside the narrative text. No inspection will guarantee anything, and it is important you remember that. It is a possibility that deep flaws are in nooks beyond the inspector’s obligations. A qualified inspector will likely point out all of the most pressing issues concerning health and safety. 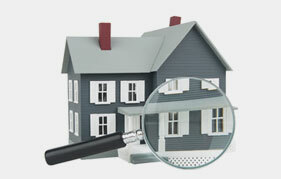 The primary focus of the appraiser is to discover what the property’s fair and factual value is. To make their final decision based on the existing factors, appraisers use a wide variety of techniques and methods. When the appraiser gets on site, they check for observable value: overall conditions, functionality, size, floor plan, and design along with the surroundings. The appraiser also takes into consideration the numerical data like the selling prices of similar homes, the square footage, and proximity to schools or public infrastructure. Knowing the property’s actual value is essential to the lender who requires the home appraisal a comprehensive report featuring the home’s value as well as detailed overview of a list that sums to the final amount are all given to the parties involved. The appraisal report is used by the lenders to determine the type of loan, down payment amount, and quoted interest rates. The buyer usually pays for the service, even if the lender contracts the appraisal company. 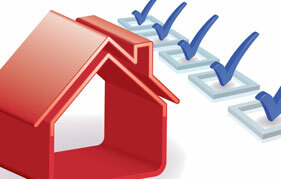 The primary difference between an appraisal and an inspection is the goal. An appraisal is designed to determine the property’s value by focusing on the relevant factors. There is some subjectivity, but the appraisal mostly derives of data. The value is an essential vital piece of information to the lender. 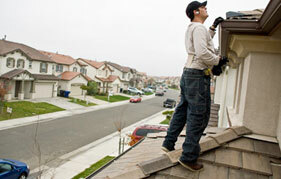 The home inspection has more worth to the potential buyer. When buyers set out to buy a new house, there are many issues that can be masked. The reliability of air conditioning and heating systems, looking for safety issues, and ensuring the electrical wiring is acceptable is the inspectors focus. The home inspector’s report is a tool to help you determine if the house is worth investing into and if you should expect any serious problems. The buyer schedules and pays for the service prior to purchasing the home. Call JMark Inspections today to schedule a home inspection service on a home you are looking to buy. We can answer your questions and provide a comprehensive inspection and report concerning the house in question. What House Fixes are Desirable or Mandatory After a Home Inspection in Sugar Land, TX?